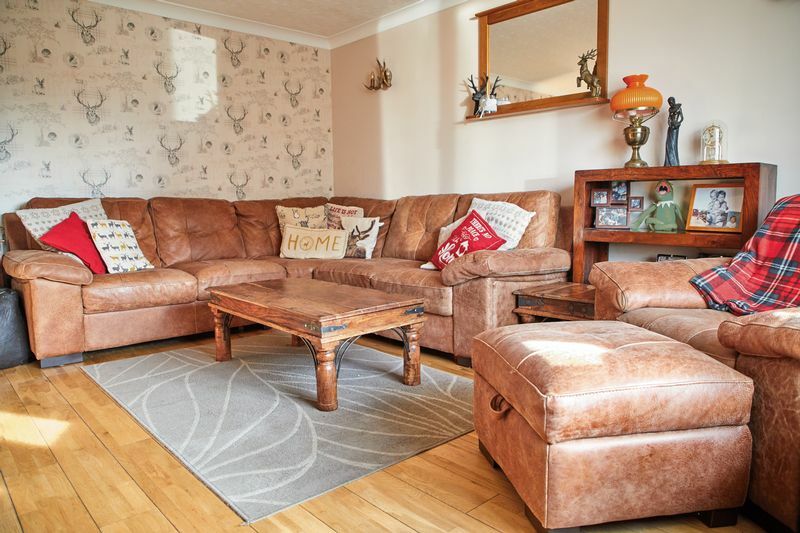 ***NO ONWARD CHAIN - EXTENDED FIVE BEDROOM DETACHED HOUSE*** Guide Price £280,000-£300,000 William's Way Estate Agents are proud to present this SPACIOUS PROPERTY with off-road parking and garage in the popular village of HORSFORD. 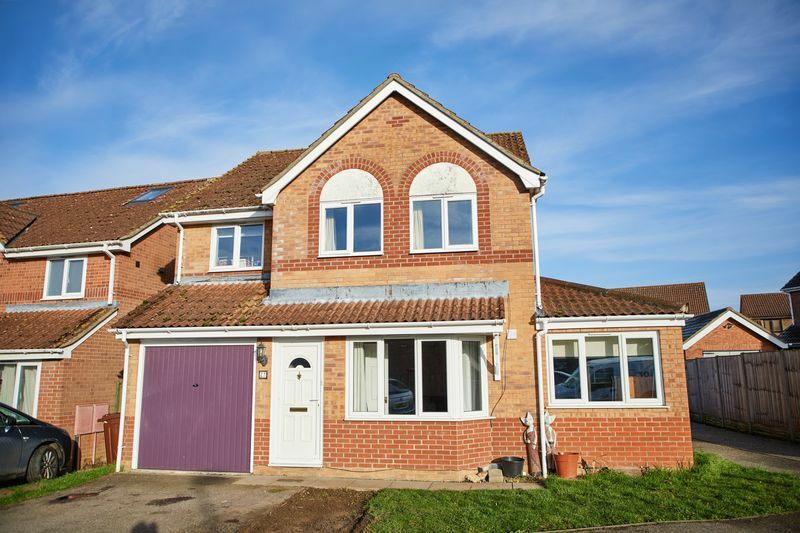 The property benefits from five bedrooms, living room, kitchen, dining area, utility room, conservatory, downstairs WC, family bathroom, rear garden, off-road parking, garage, gas central heating and UPVC double glazed windows. 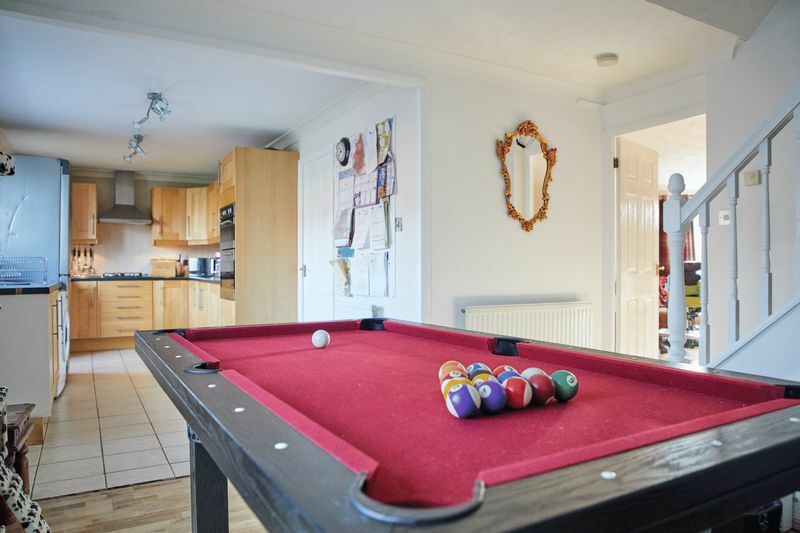 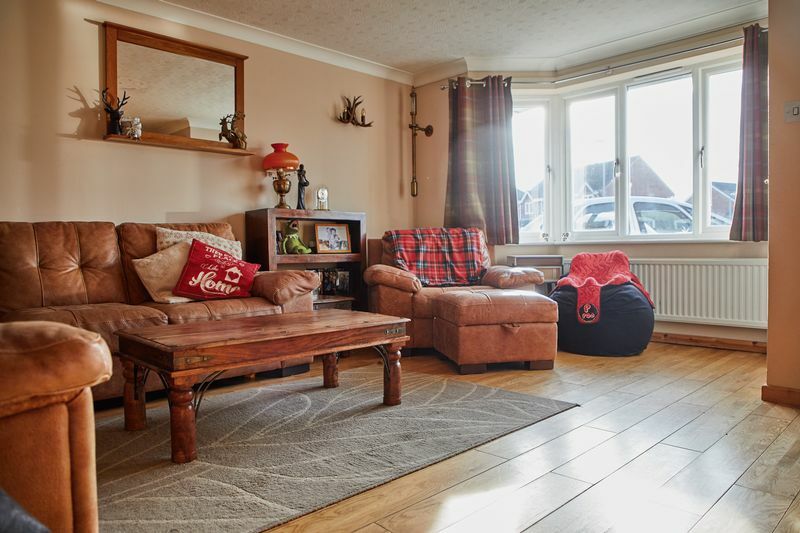 Early viewings are highly recommended for this sought after property. 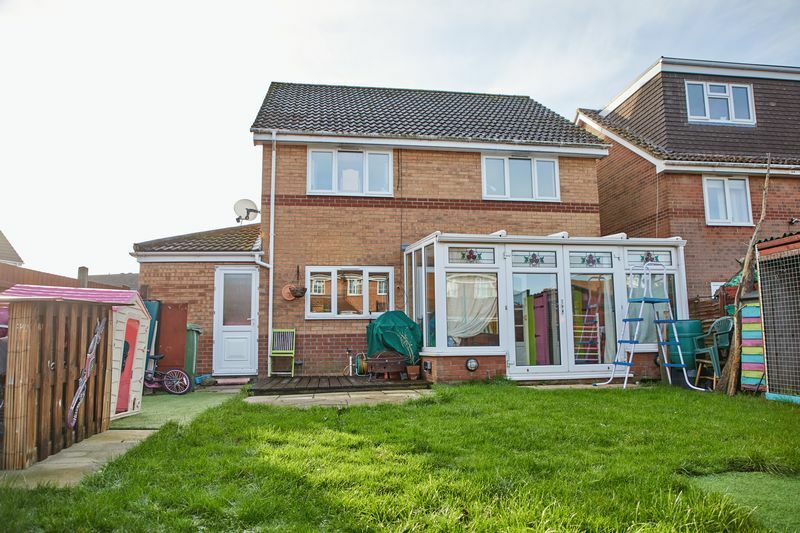 The front of property benefits from a garage and off-road parking. 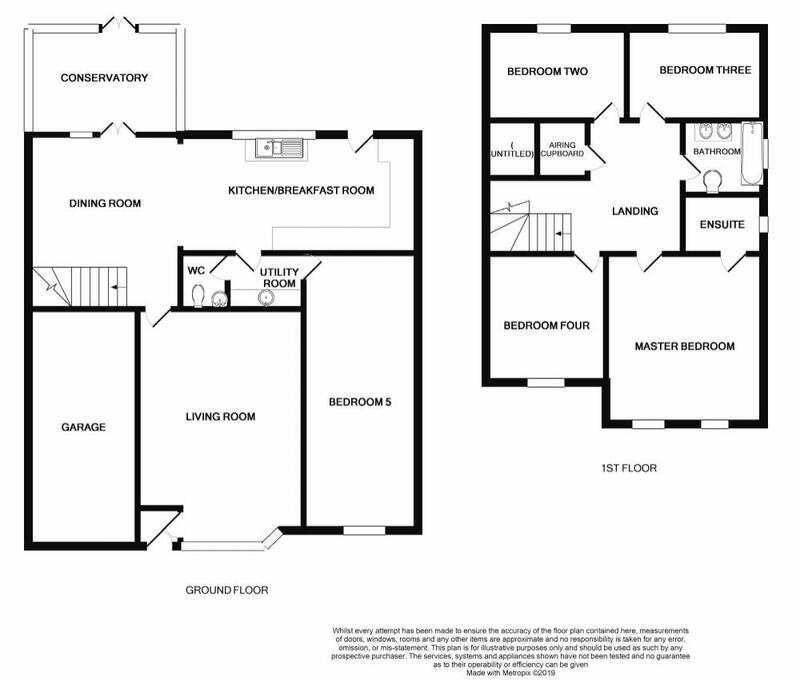 Light living area with front aspect window and access to the kitchen/dining area. 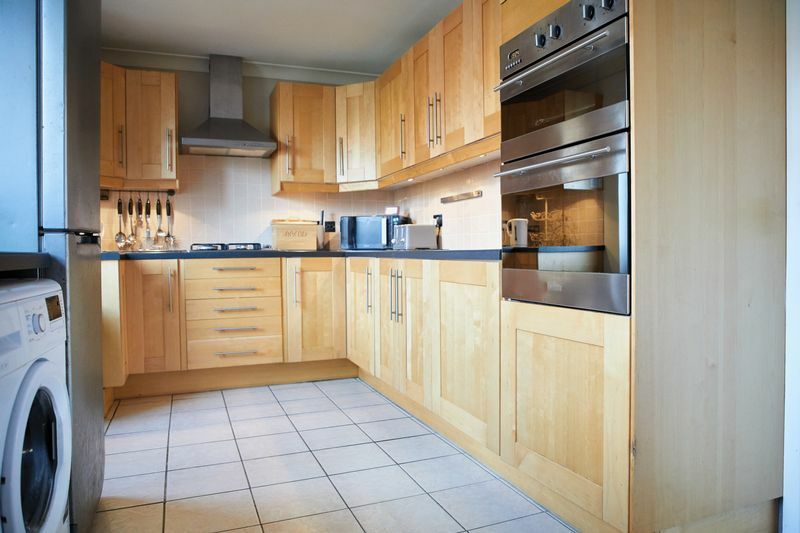 The kitchen features a range of wall and base units, built-in double oven and hob with extractor fan, sink, space for white goods, plumbing for dish washer and door to rear garden. 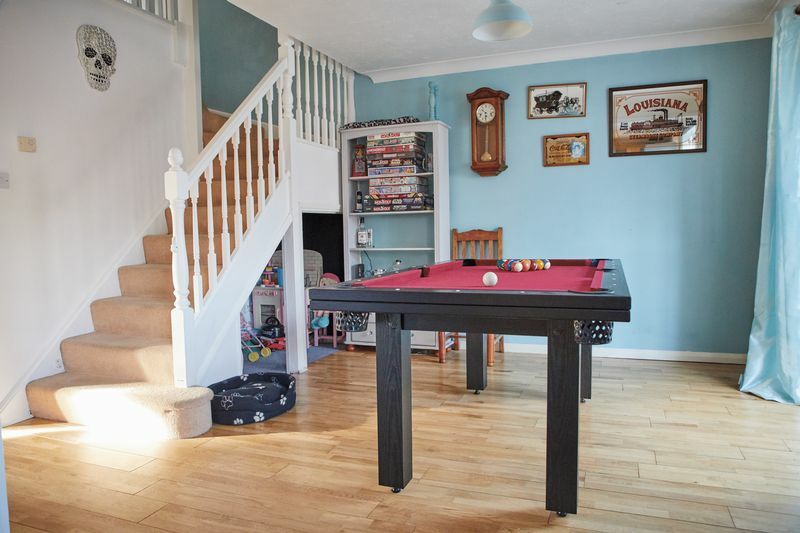 Open plan dining room with access to the living room, kitchen, conservatory and stairs. 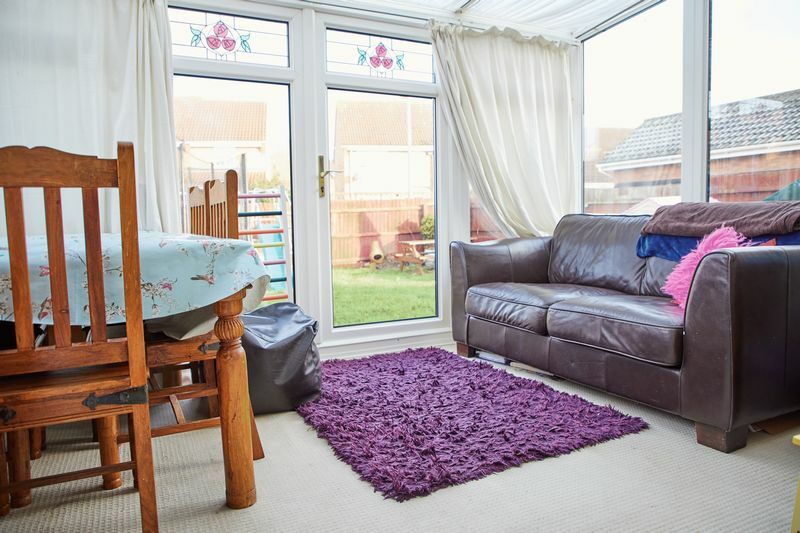 Off the dining room the conservatory offers views and access to the rear garden. 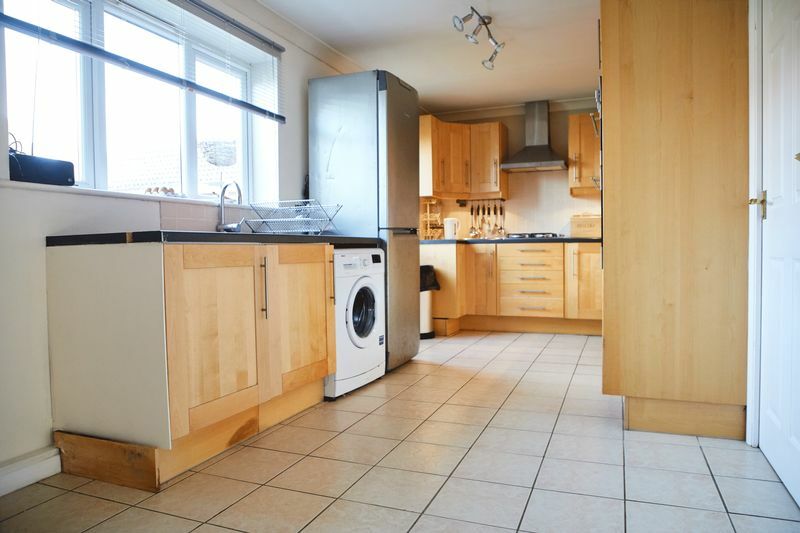 The utility room has space for white goods with base units. 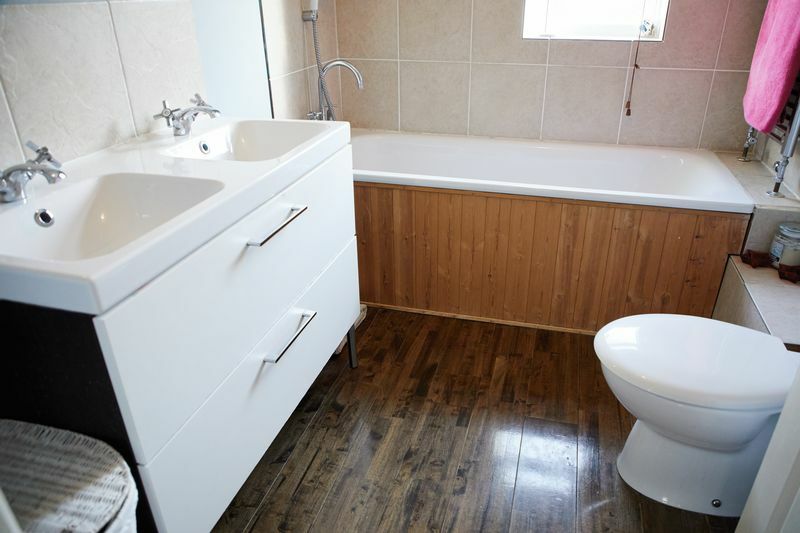 Comprising bath, double wash basin unit, W/C and window. 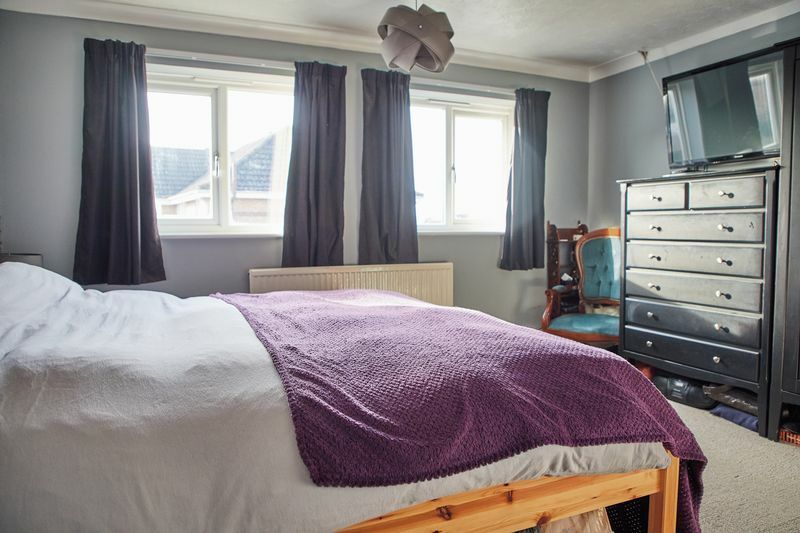 Light double bedroom with dual aspect front windows and space for en-suite. 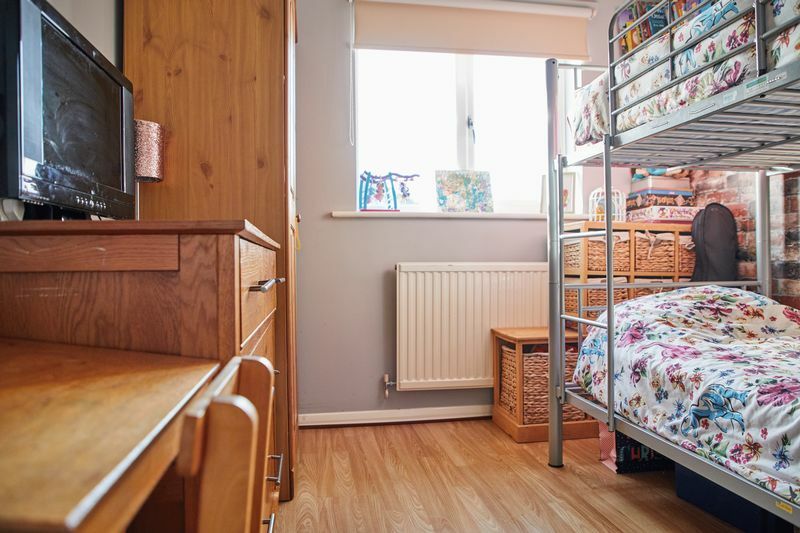 The en-suite has plumbing to be put back as a functioning en-suite, but is currently used for a nursery. 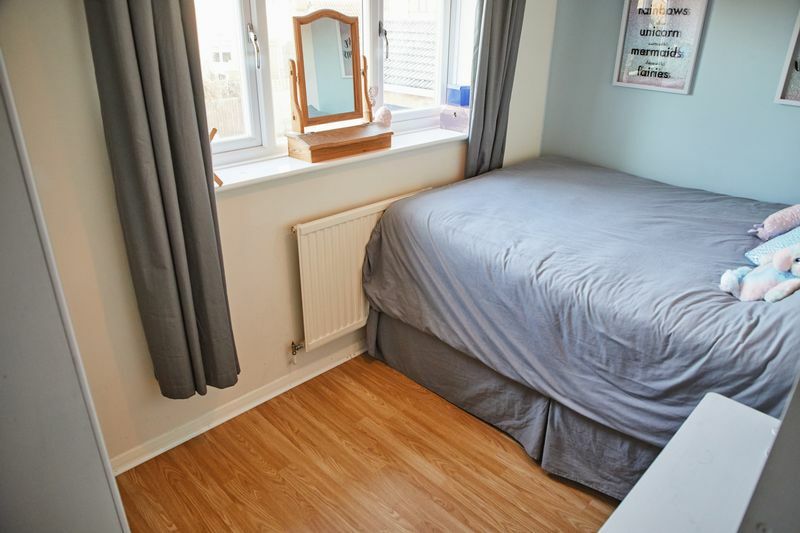 Fair size bedroom with window. 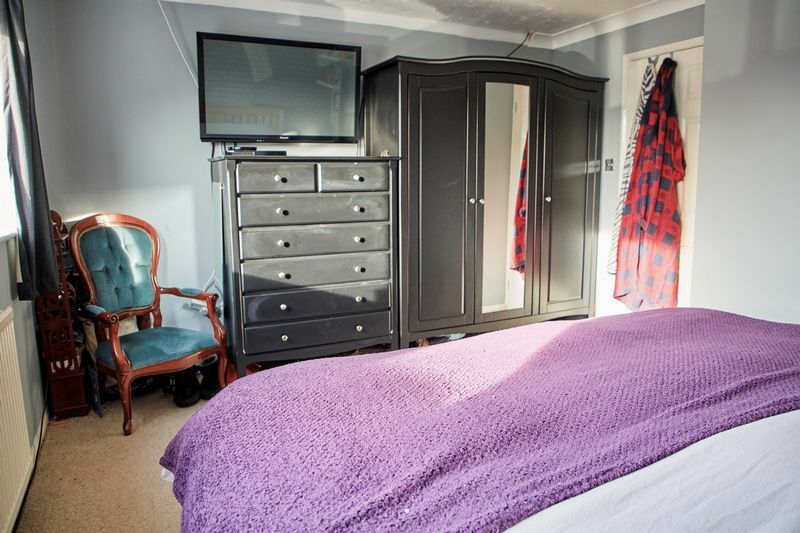 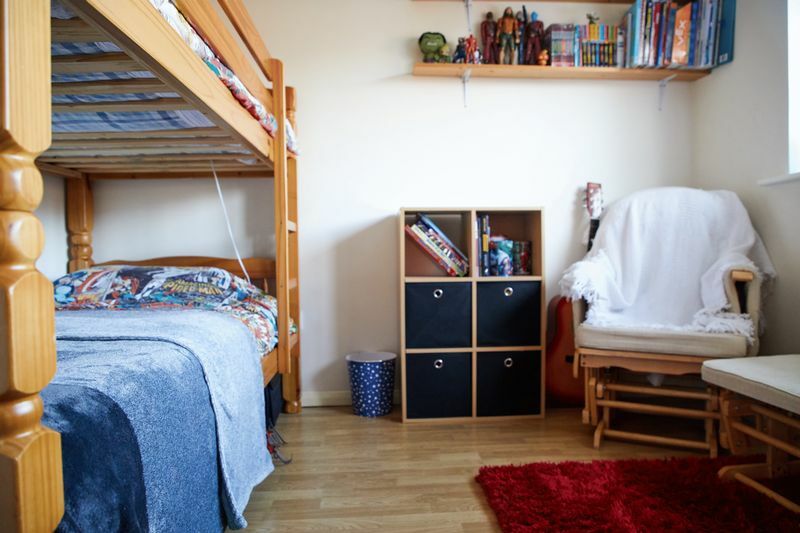 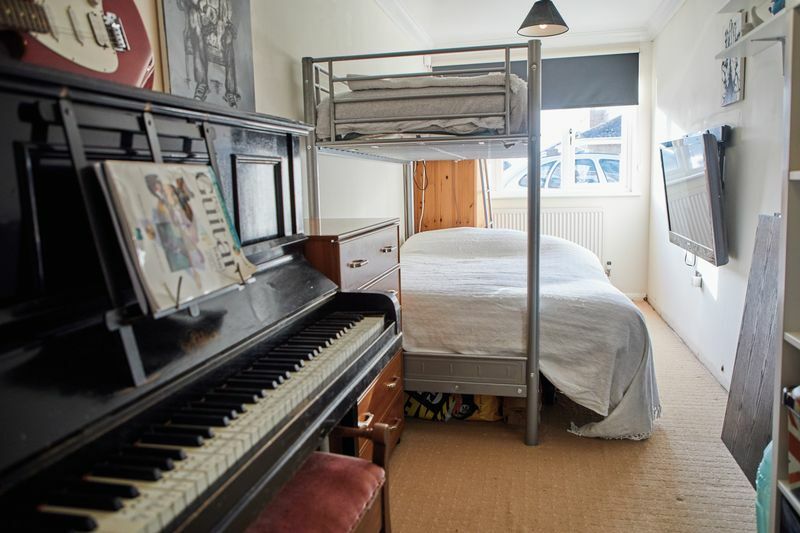 Great space for fifth bedroom with room for double bed and front aspect window. 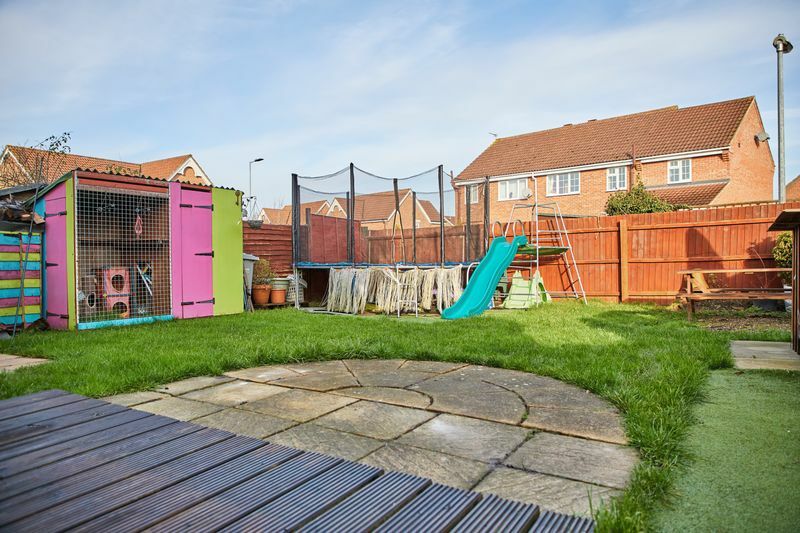 Features decking, paving slabs, grass and is enclosed with wooden fence panels.